This route, as well as covering parts of both northern and southern Burgundy, coincides with what was known as ‘German Way of St. James’ or the ‘Hungarian Way of St. James’ to Santiago de Compostela. 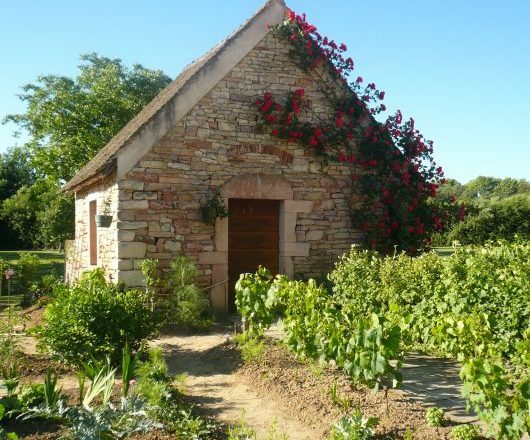 This route, as well as covering parts of both northern and southern Burgundy, coincides with what was known as ‘German Way of St. James’ or the ‘Hungarian Way of St. James’ to Santiago de Compostela. 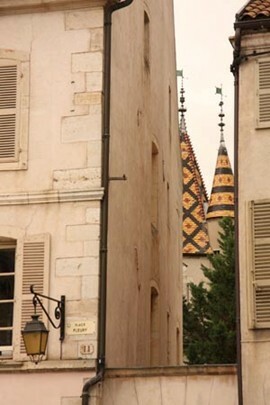 Apart from the many historical associations, this is of course a wonderful wine route – walking from village to village, following hillside paths that cross the famous wine ‘crus’ of the “Côte de Beaune” and the “Côte Chalonnaise”, including Pommard and Chassagne-Montrachet, and enjoying beautiful scenery traced with stone walls. 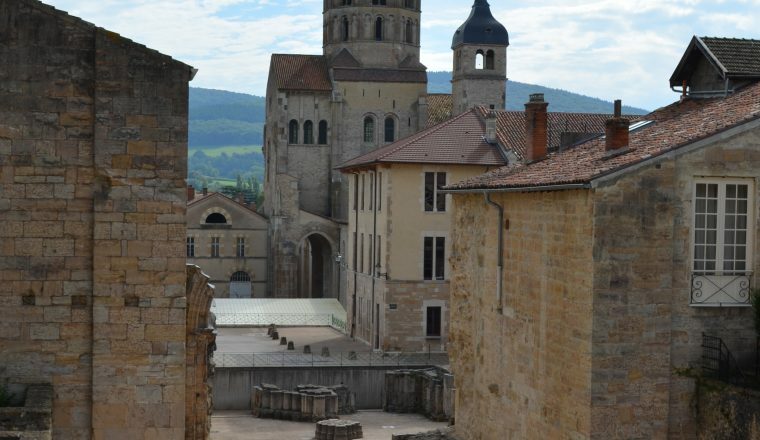 A highlight is completing the journey at one of the great places of pilgrimage – Cluny. Assistance in case of any problems. 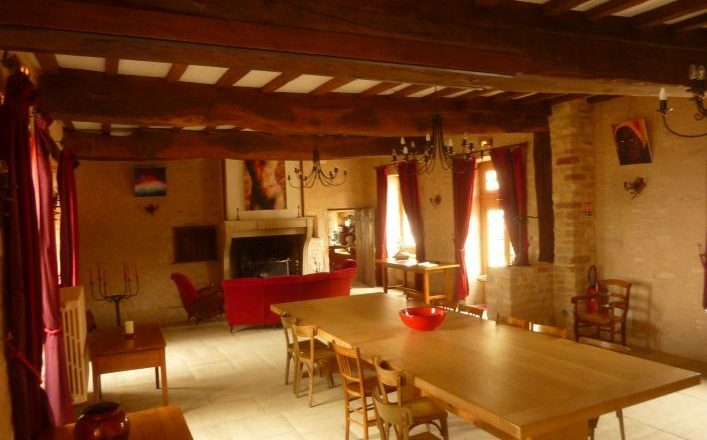 March to mid November on day of choice provided accommodation has availability. Day 1 – Welcome. 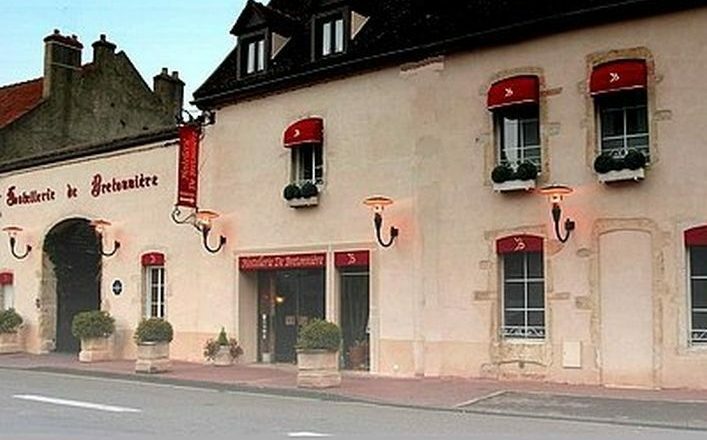 Arrive at your hotel in Beaune, known as the capital of wine. You will be met here and everything you need for your holiday will be handed over. 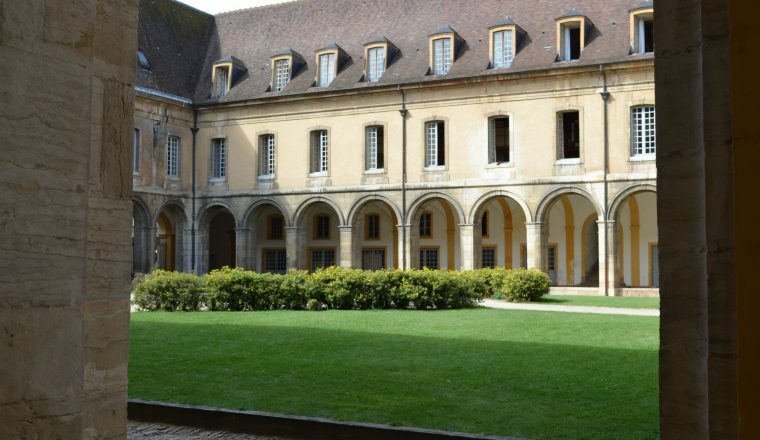 Places to visit: the “Chapelle Saint Jacques”, the “Commanderie du Temple” and the “Hospices”. 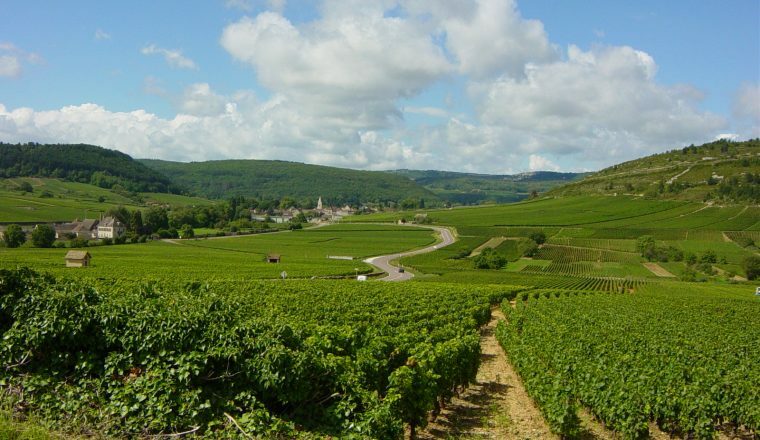 Your first walking day will take you across the vine-clad hills of the Hautes Côtes de Beaune and through villages from Volnay to Meursault where you will find the remains of an ancient castle. Finish at Chagny, with its Xvth. Century observation tower and fine architecture. 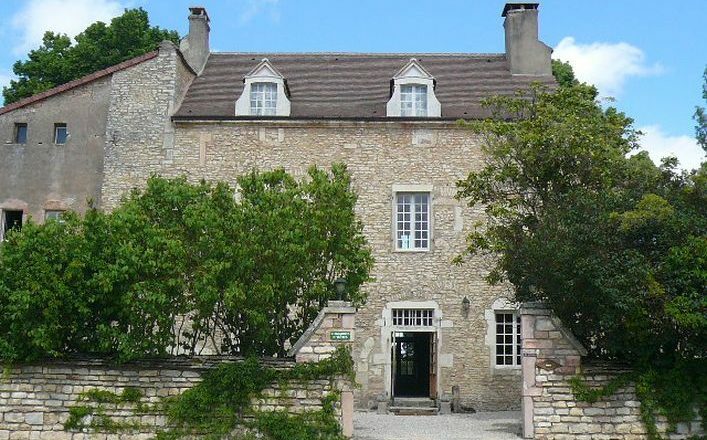 Continue through vineyards via Rully and a Gallo-Roman camp, known as the “Camp de César” and the charming village of Mercurey and its ramparts. 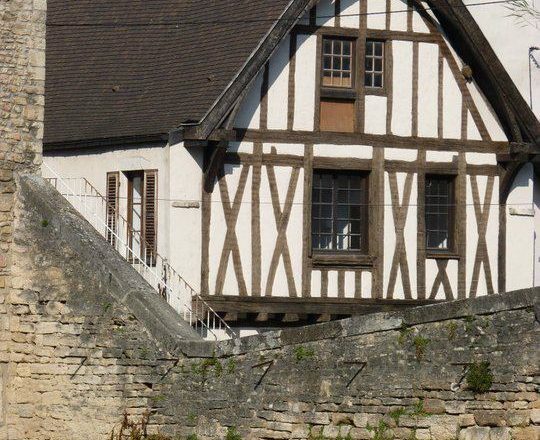 Pass ancient crosses, old communal wash houses and vintner houses, to arrive in Givry. 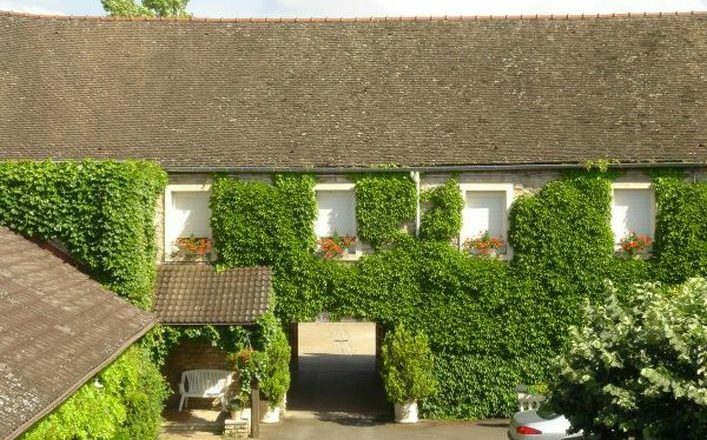 This route along the “Voie Verte” will bring forest scenery and country villages with “cadoles” (small stone huts built by vine growers) … once you get to Saint Gengoux le National you will be able to visit its Romanesque Church, its ramparts, its gargoyles and its belfry. The countryside is hillier in the area. 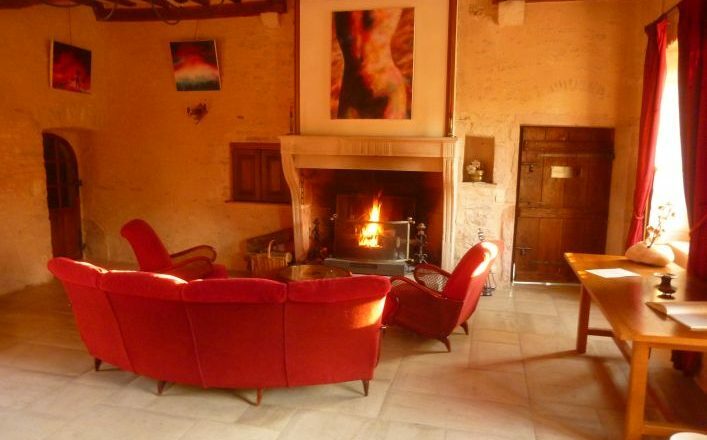 Worthwhile visiting the Cormatin and the great place of pilgrimage of Taizé. 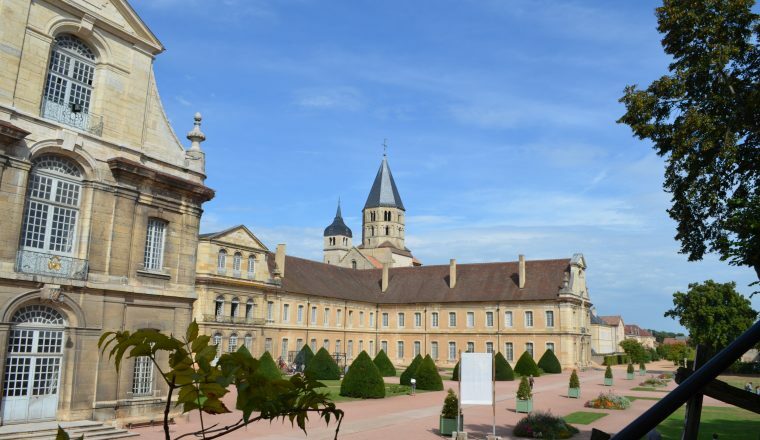 You will end your walk in Cluny, the spiritual centre of Europe in the Middle Ages, with a huge influence on religion, intellect, art and politics. 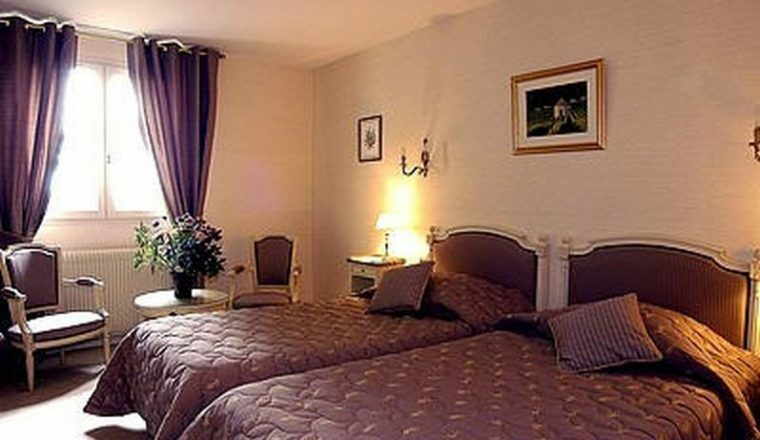 Places to see include the Abbey, the fortification remains, the “Haras National”(Stud farm). Day 6 – Depart after breakfast. Personal welcome on your first day, Daily luggage transfer to your next hotel, Route notes, maps and tourist information Assistance in case of any problems. Fly into Paris or Lyon airports which are served by several different airlines. Sturdy walking boots and walking socks (with a change of socks in rucksack), rucksack/day pack, 1 x water bottle with 1 litre capacity, insect repellent, sun glasses, sun hat, sunblock/cream, compass, torch, first-aid kit. We recommend that you take out appropriate holiday insurance covering you against illness, injury, and loss or damage to luggage. This insurance should also cover the possibility of your having to cancel your holiday for any reason. Contact us now to book this walk or make an enquiry.